Throwback Thursday! I never post these but thought I would today! In 2010 I was commissioned by jazz saxophonist Courtney Pine CBE to create an artist video for his band member, violinist Omar Puente.. here it is..
Update! 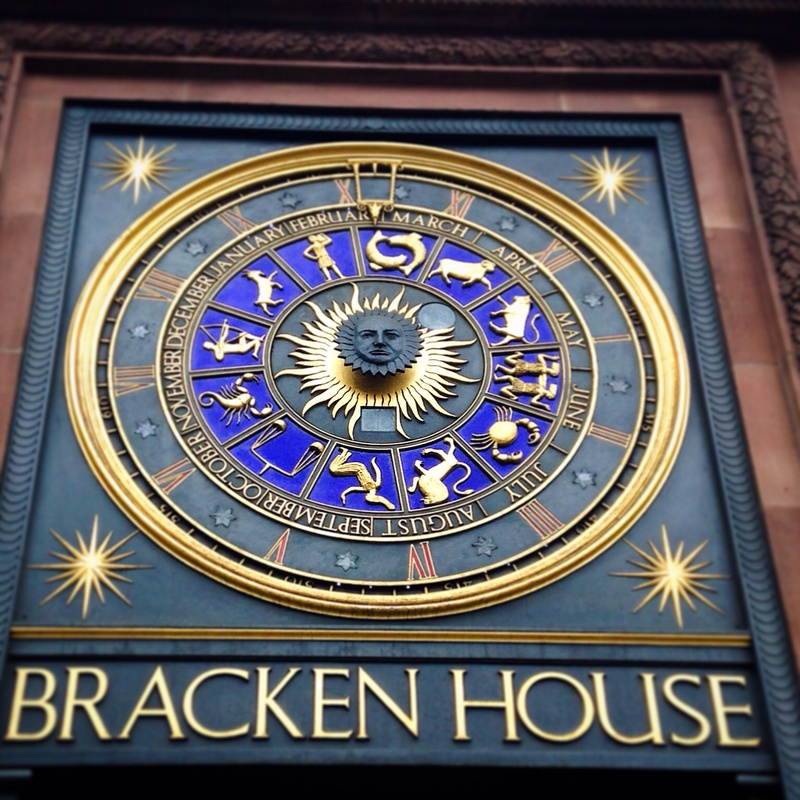 I’ve done a bit of research into the clock, it is an astronomical clock installed by Bernard Bracken, Chairman of the Times newspaper, in 1955 as the newspaper was printed inside this building. The face in the middle is Winston Churchill. The little round window to the upper right of the face is of unknown function. The building itself is made out of pink brick as this was the colour of the newspaper at the time.. I think the Financial Times is still pink?? And here is a quick graphite pencil sketch of a face that I made last night. I’ve been trying to capture my morning walks on Instagram. It adds another dimension to walking to work every day and allows me to capture the details of what I see and keep a record of them. So I’m going to start posting them on my blog too. Hi all, I’ve been arting away this weekend whilst the weather here, on the edge of London has been cold, windy and wet. I took the time to complete a painting that had been sitting in a ‘prepped’ state for months. I wanted to practice drawing insects using a lot of line work, I’ve realised that my insects tend to lack antenna and legs.. but hey.. 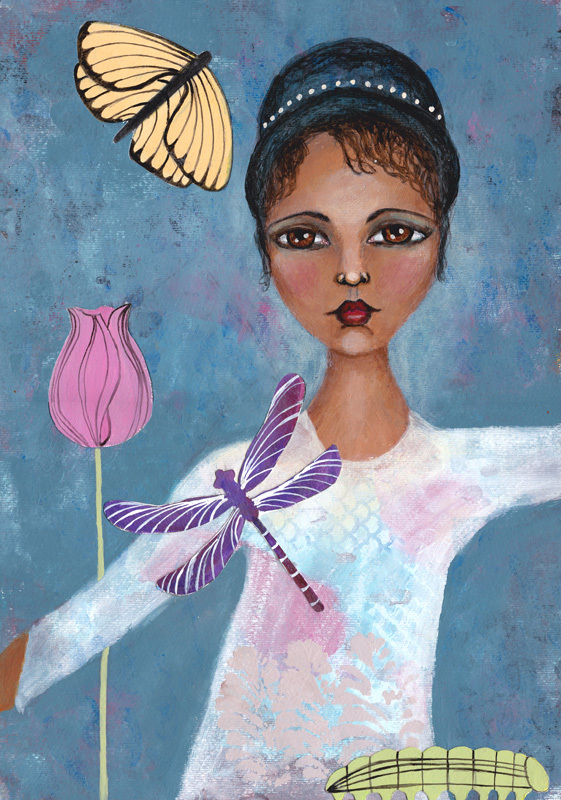 I also used it as an opportunity to try out some new fresco finish chalk acrylic paints. I think I like these so much because they look a bit like gouache, but are permanent. I’ve been mixing them with other paints to create some nice tones.. Here is a selection of my blues.. 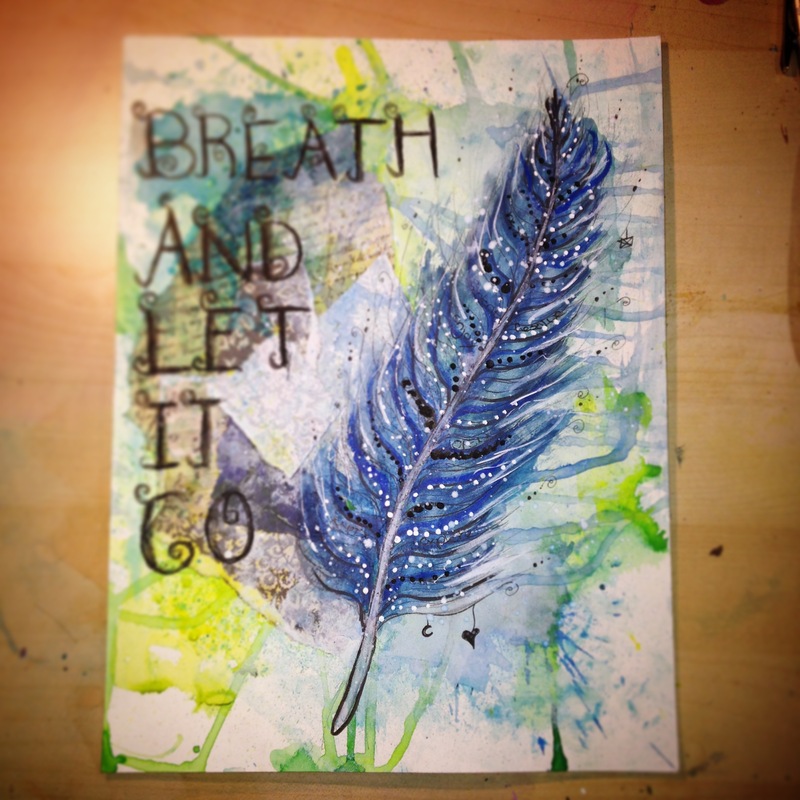 I also finished a life book lesson by the lovely Tamara Laporte featuring a feather. During the week I continued to work on my health and well-being, walking for 1.5 hrs per day, and trying to eat 5-a-day… which is a lot harder than it sounds. This week I’m preparing all my lunches in advance to help pack as much juicy goodness into my diet as possible. 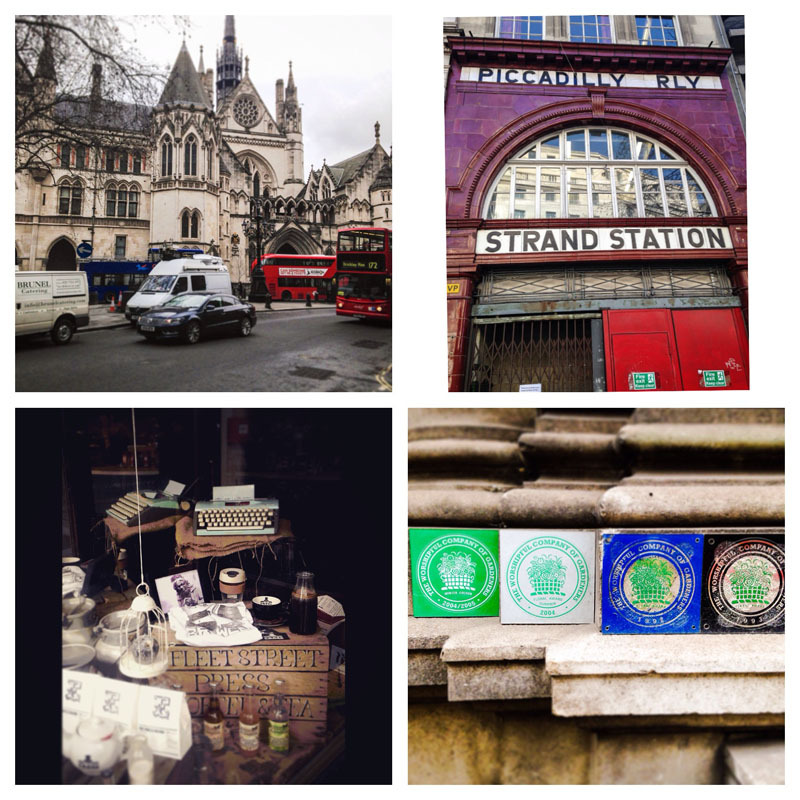 Here are some photos taking during my walks through London. 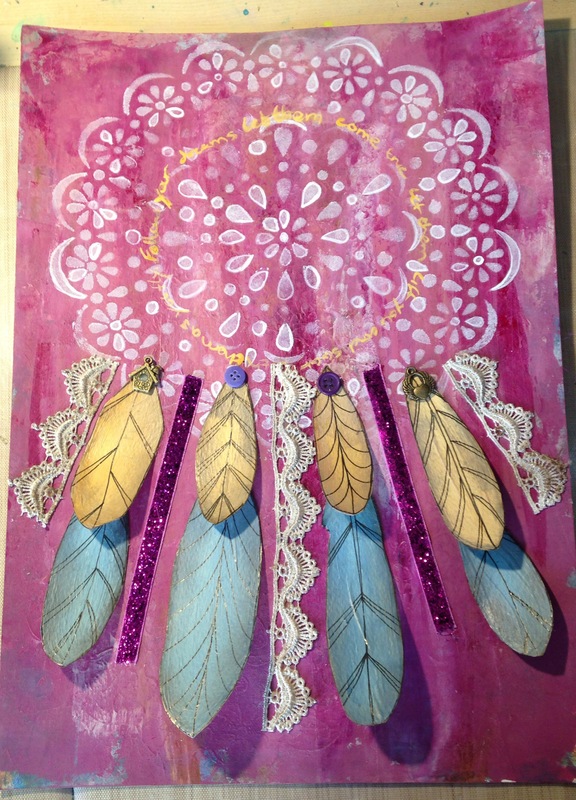 I thoroughly enjoyed making this dream catcher from a life book lesson taught by Rachael Rice. The background was an old painting (I didn’t like) which I firstly covered with a neutral coloured ‘Fresco Finish’ acrylic paint applied with a brayer. When this was dry I added blobs of my new fave Golden fluid acrylic paint Quinacridone Violet (such a beautiful colour) and blobs of lighter shades of my other new fave brand the Paper Artsy Fresco Finish paints! I love these! they are incredibly opaque and very matt. 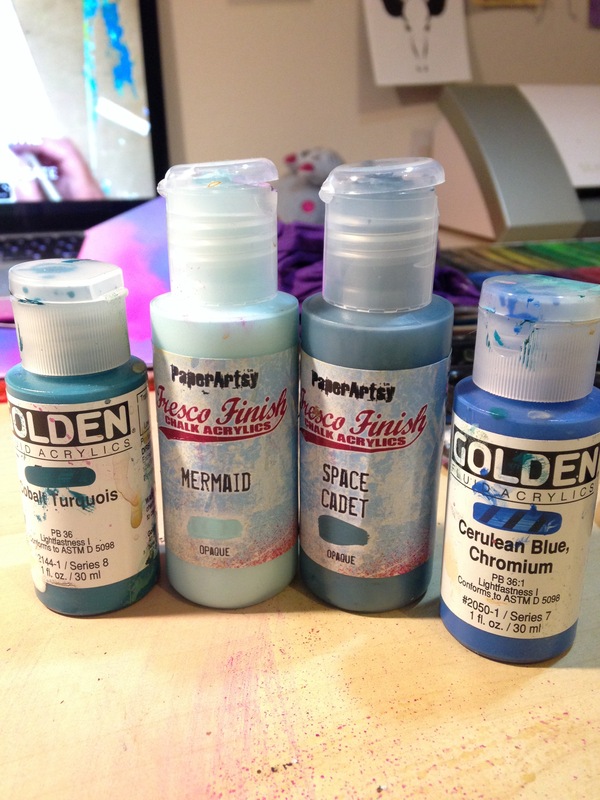 I find they are great for mixing with the more intense shades of highly pigmented Golden acrylics. Am looking forward to having a bit more of a play with these new paints soon. 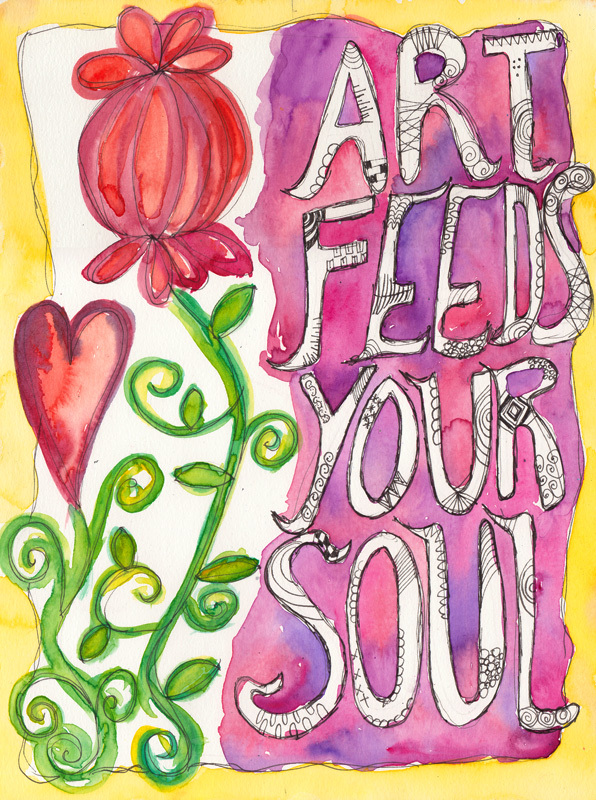 Hi, here is a new watercolour painting made for a Life Book class by the lovely Joanna Sharpe. 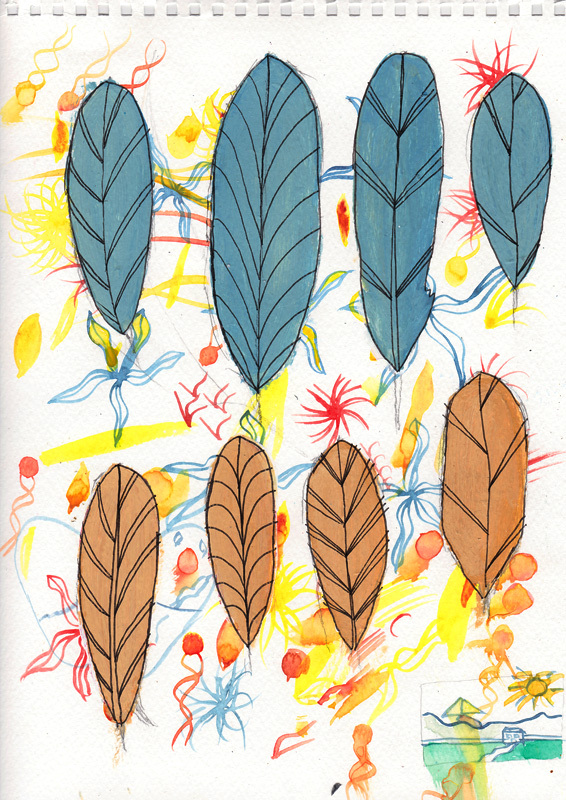 And here are some feathers, painted on a scrap watercolour page, these were made for another project that I will post soon.